It’s that time of the year again! 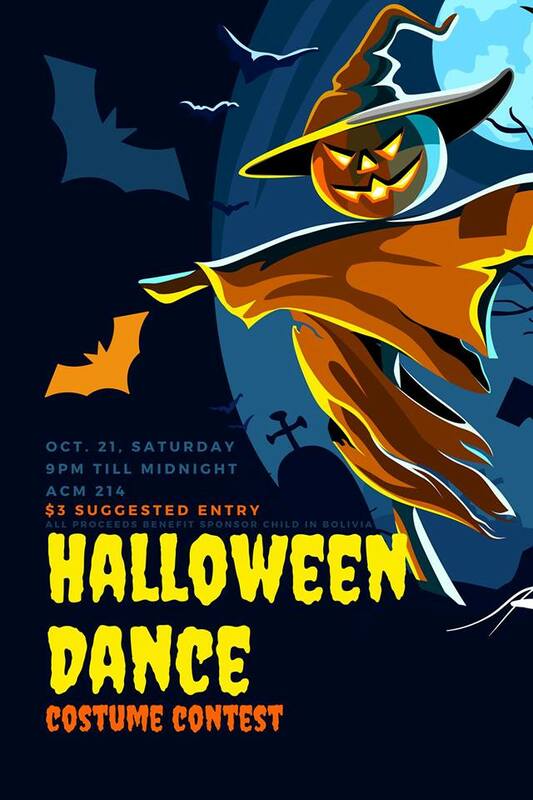 Wesley-Luther will be having our annual Halloween Dance! Everyone is welcome to come and hang out in their Halloween costumes! There will be ghoulish decorations, frightening snacks, and of course Andrew’s spooky playlist! There is also the possibility of a costume contest! There will as always be a post-dance trip to IHOP! We would like for people who are attending to please contribute a $3 donation for our sponsor child, Nelly. Nelly is a child in Bolivia who we send money to every month to help with costs of food, shelter, medical, etc for her and her family. We typically raise this money through selling sodas, donations, and our dances. All are welcome, cannot wait to see everyone!